Bring a group to Arvon – we offer residential weeks for schools, young people and adult groups. 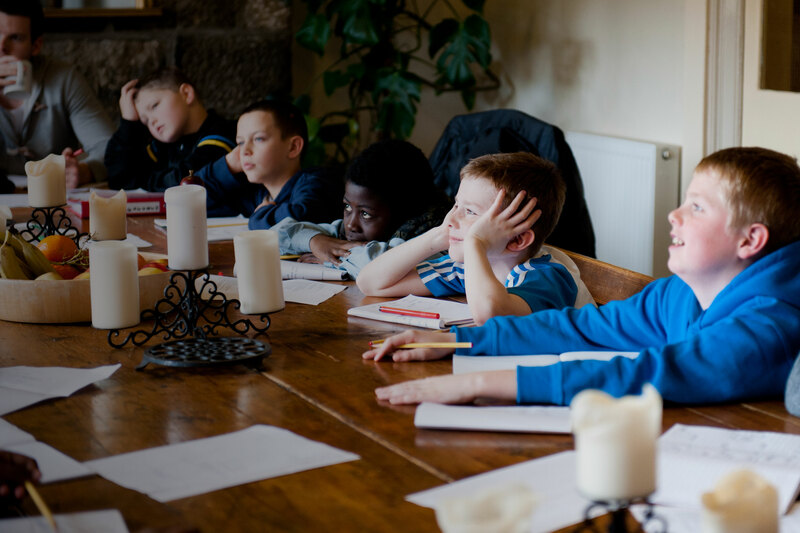 Our weeks for schools and groups follow the same pattern as our adult course programme – led by two professional writers, with tutorials, group workshops, and time and space to write. Groups live, write and eat together, cooking their evening meal in teams. At the heart of Arvon is the desire to encourage anyone, regardless of background, to find their voice through writing; whether you want to bring talented writers, or individuals who need more support, each week is shaped around the participants’ needs and interests. Bookings are now open for schools and groups residentials in 2019. Please email learning@arvon.org to book. Arvon works in partnership with organisations ranging from charities, arts organisations, socially disadvantaged groups and community groups to higher educational institutions and businesses. At Arvon we believe anyone can be a writer. Each year we organise over 40 weeks with schools and groups. Five days that can ignite a life-long love of creative writing. This short film shows the journey of a Writing the Game week for schools that combines a residential week at The Hurst Arvon Centre in Shropshire, with the Supporter 2 Reporter programme run by Leyton Orient Trust. Arvon supports the professional development of practising teachers, who may apply for a special fixed grant of £200 towards a course fee.